If Walt Disney hadn't made Mickey Mouse and Minnie Mouse so popular many years ago, I doubt that we would think that mouse crafts would be all that much fun to make. In this mouse craft article, we're going to put a spotlight on the crafty mouse. I am going to show you pictures of finished craft projects and also the site address so you can go directly to their directions. 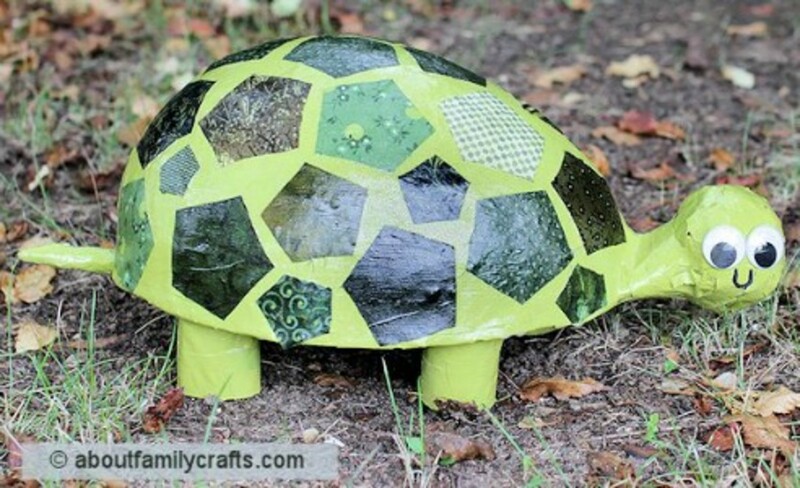 Many of these projects are fun and easy crafts for kids. There are craft projects suitable for pre-school children, elementary age kids and everyone older who loves to do crafts. 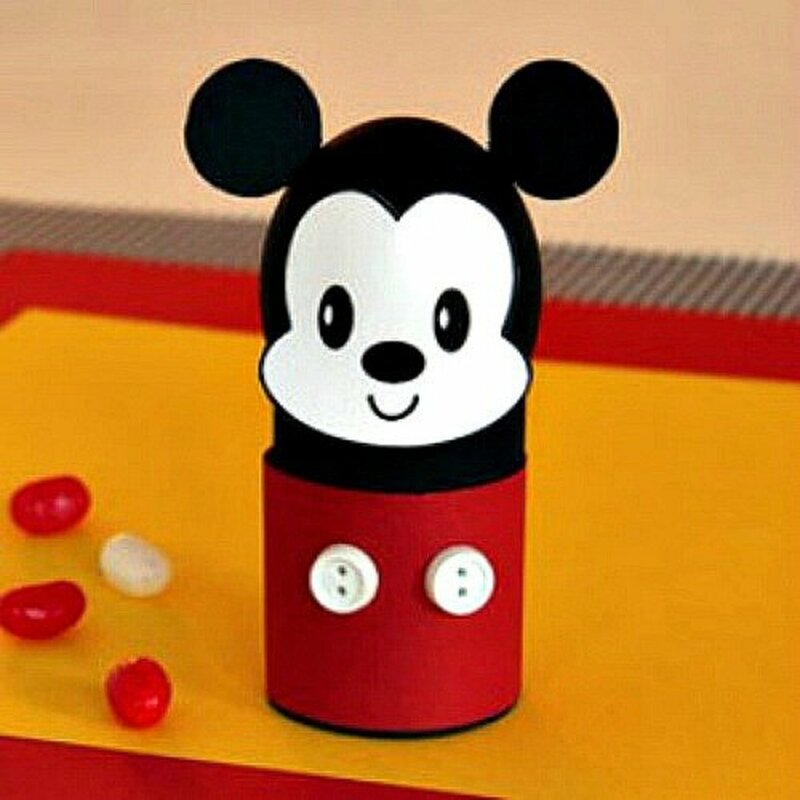 The directions for this Mickey Mouse made from a real or wooden egg can be found at Disneyfamily.com. 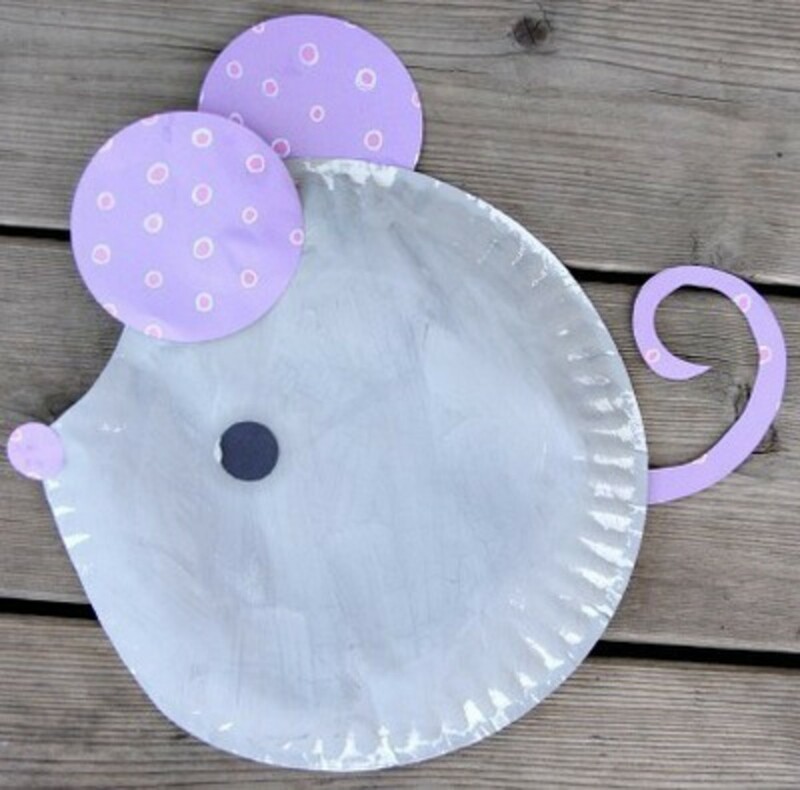 This is a cute and easy mouse to make with the kids. For the directions, go to All Kids NETWORK. Easy to make and so very cute. The kids could make these to give as gifts to their teachers. 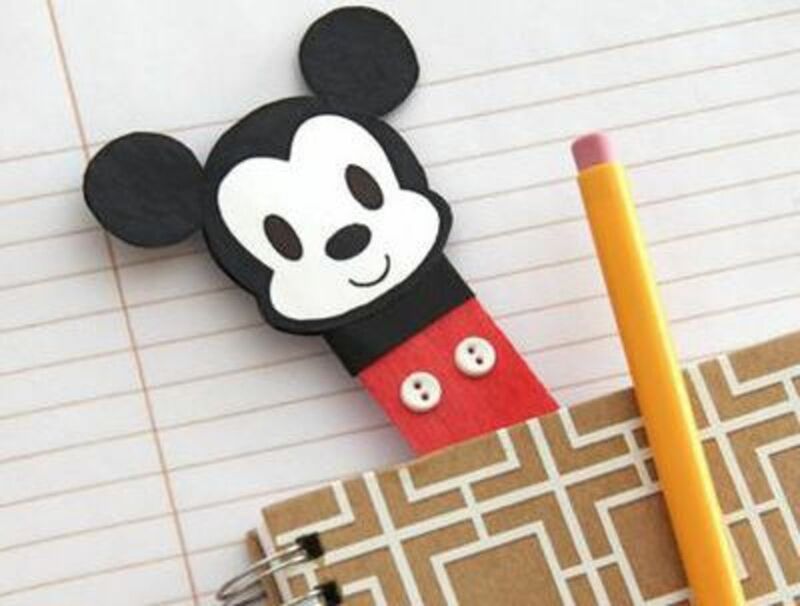 For the directions on how to make these little bookmarks, go to Family Disney. 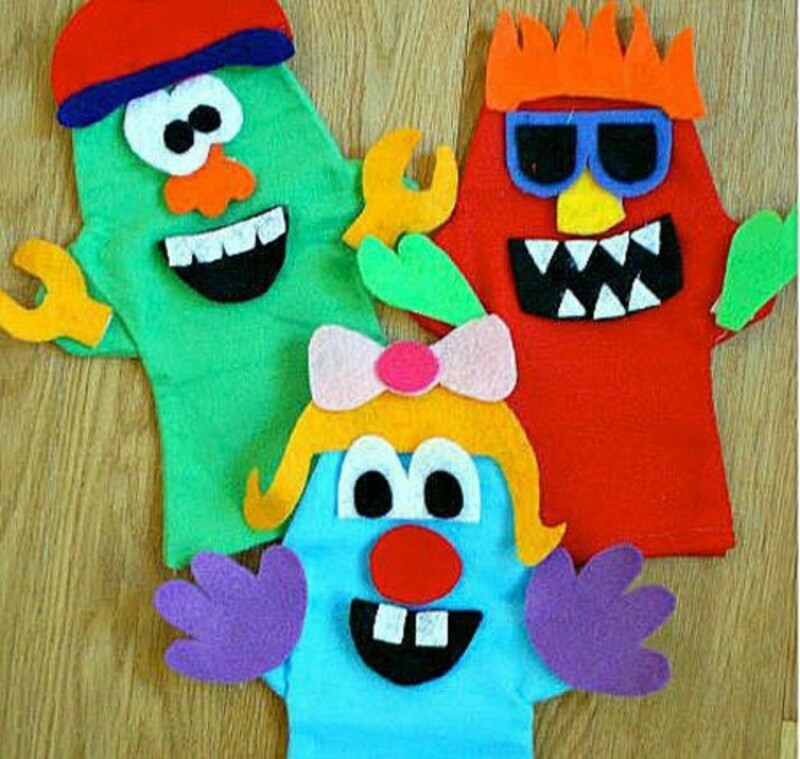 Finger puppets can be made so easily that you'll want to make many of them. 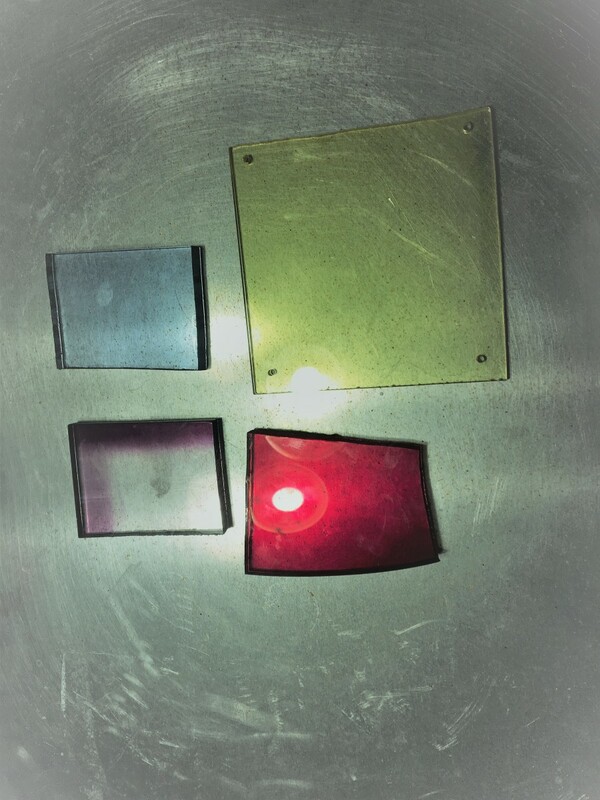 The directions can be found at Inna's Creations. 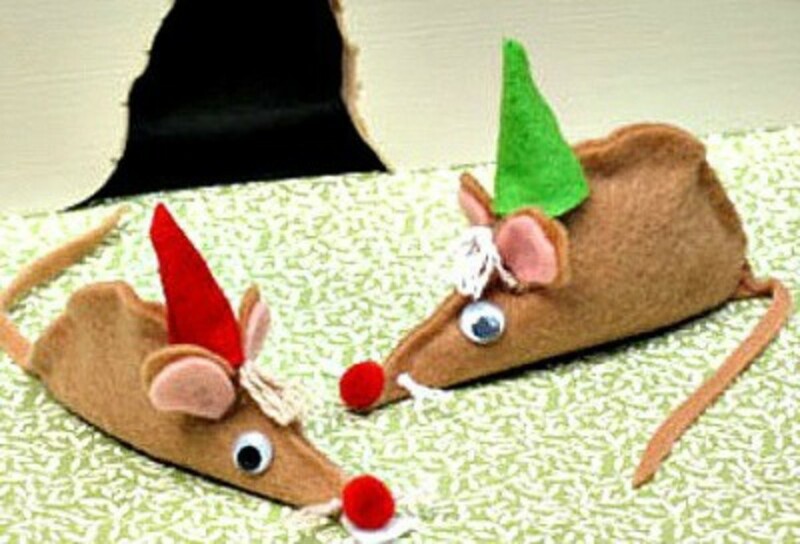 Check out how easy it is to make these mouse elves. 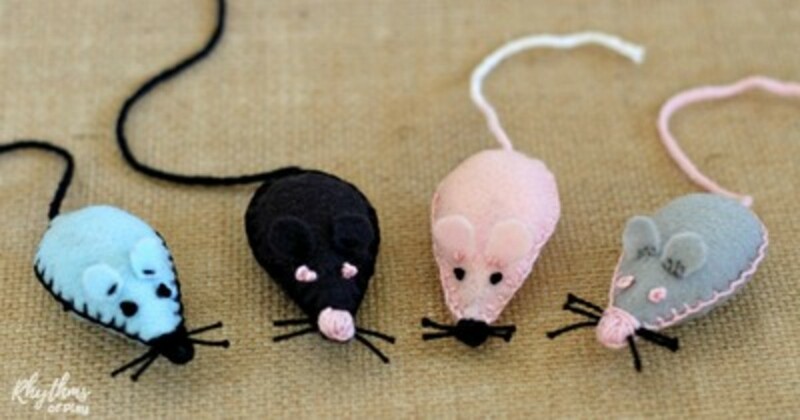 The littlest kids will love helping make these mice. Go to Craft Elf to find the directions. These little bookmice are made using clay. Very easy to do following the directions at the Ranger Rick website. 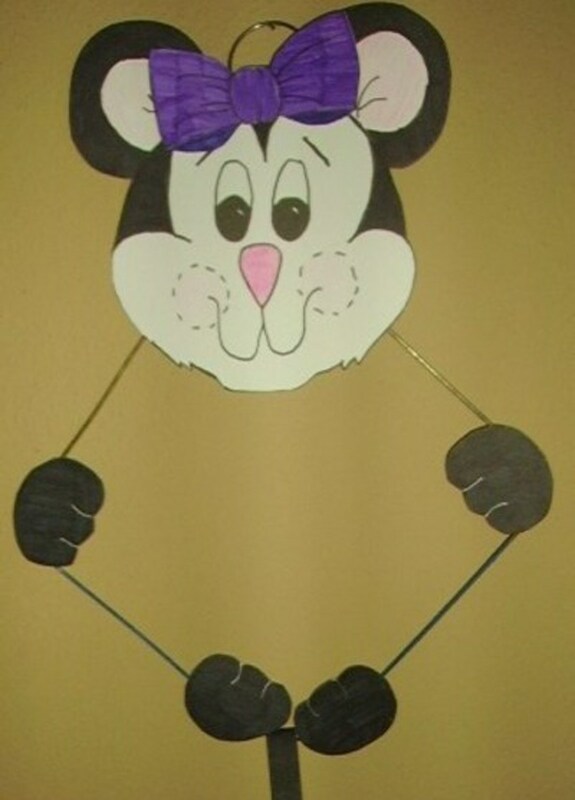 Use a wire coat hanger to make this little mouse for your house. Go to Kids & Glitter for the directions. This is just too cute for words. 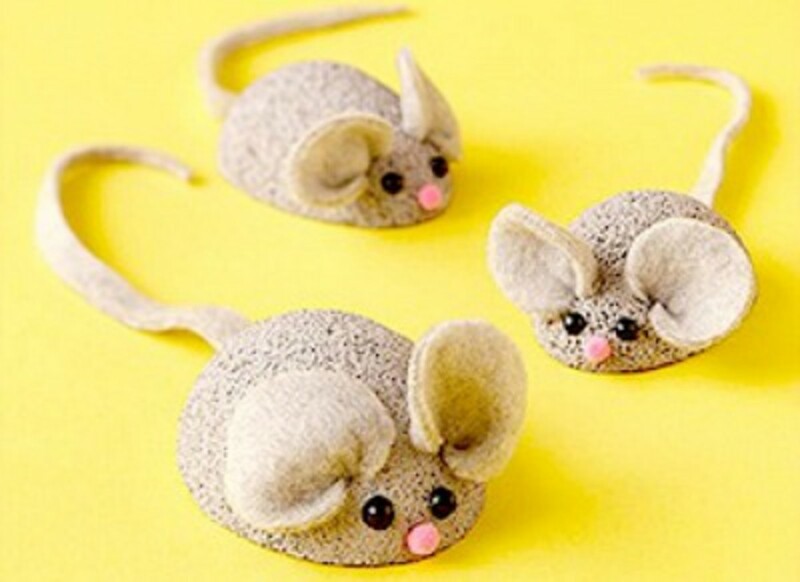 Make these little mice and tuck them in unexpected places. The directions can be found at Rhythms of Play. 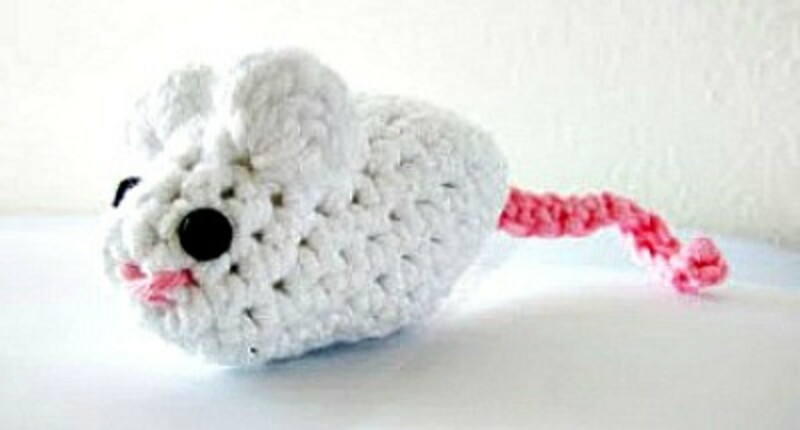 If you know how to crochet, you'll be able to make little mice like this one, in no time flat. For the crocheting pattern go to Craft and start making a bunch of them. 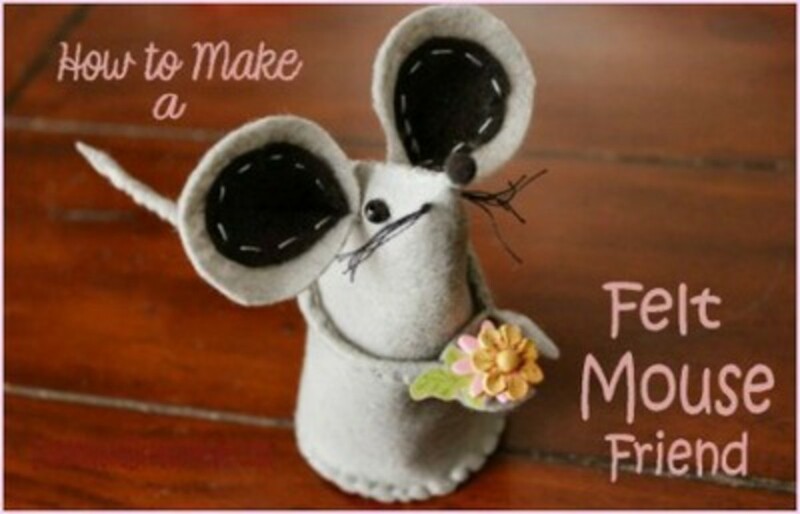 Make these little mice using felt. 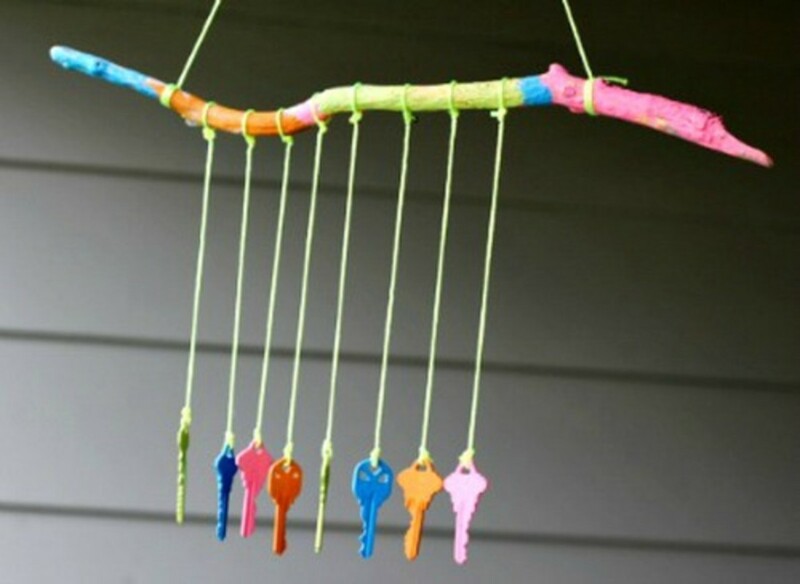 They are inexpensive to make, so let the kids help and make a passel of them. For the directions, go to DisneyFamily. Heart shapes made into a cute mouse. Go to Housing a Forest to find the directions. 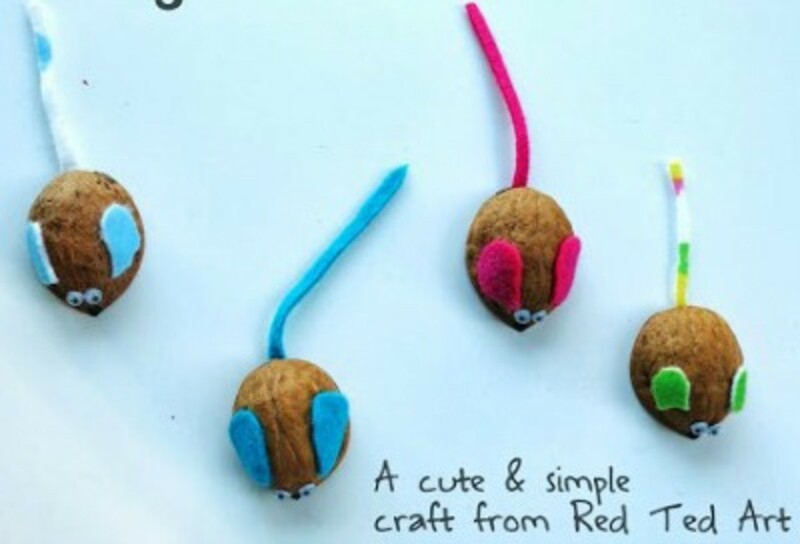 Help the little ones make walnut mice and then show them how to make a racing game using their mice as racers. Find the directions for making the mice and how to play the game at Red Ted Art. 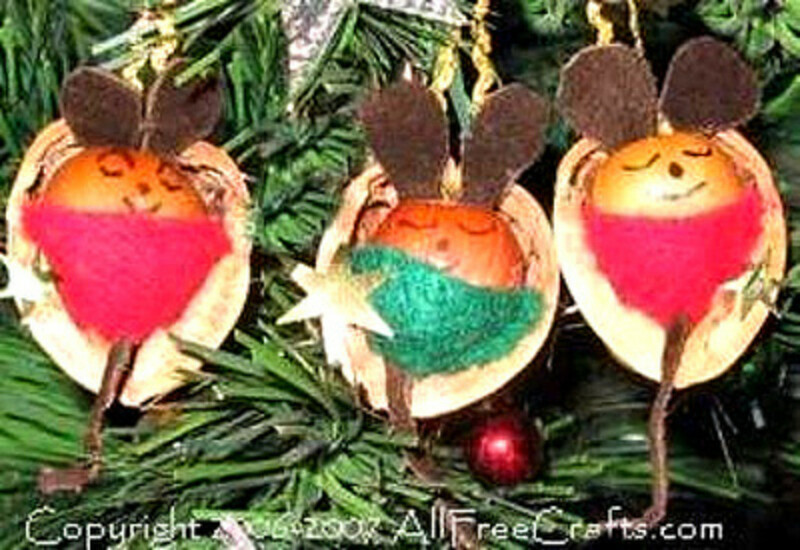 Tiny mice sleeping in walnut shells make these Christmas tree ornaments so very cute. 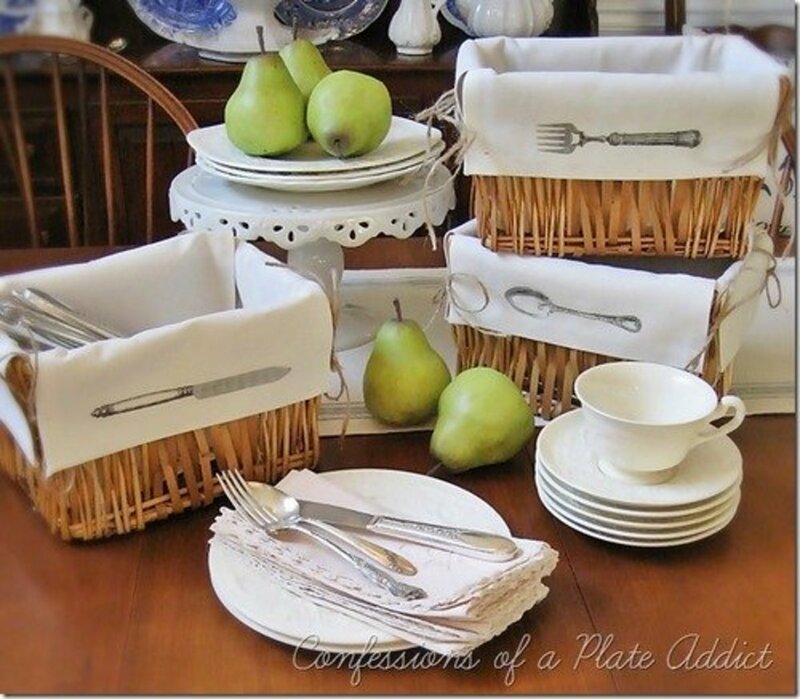 Go to all free crafts for the directions for making them. 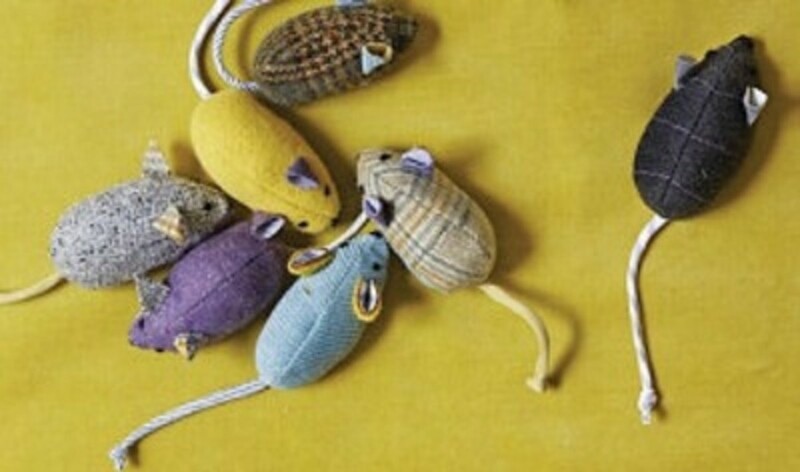 Outstanding mice made from mens shirt fabric. 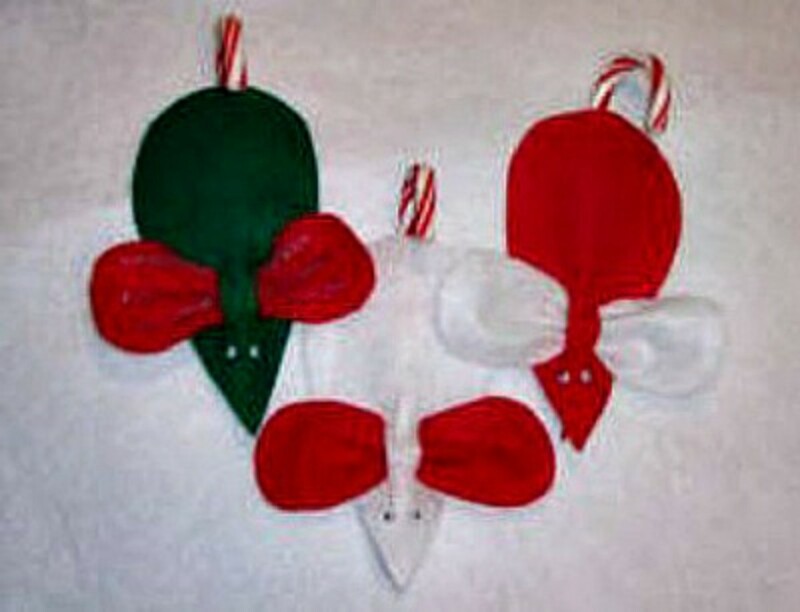 Find the directions for making these mice at Martha Stewart. 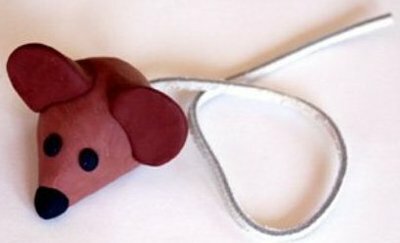 You'll love the step-by-step tutorial on Inside NanaBread’s Head that show you exactly how to make this felt mouse. 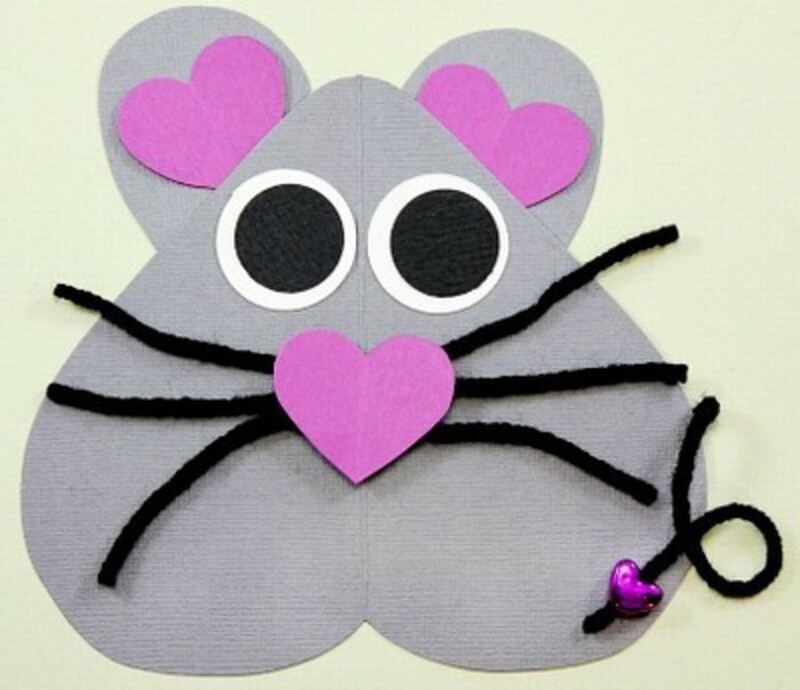 Make this little mouse using your school colors and add a pendant with your school logo. Cute gift idea. 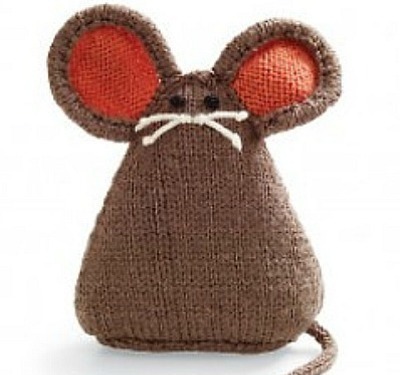 For all the directions for making this little mouse, go to toastie studio. 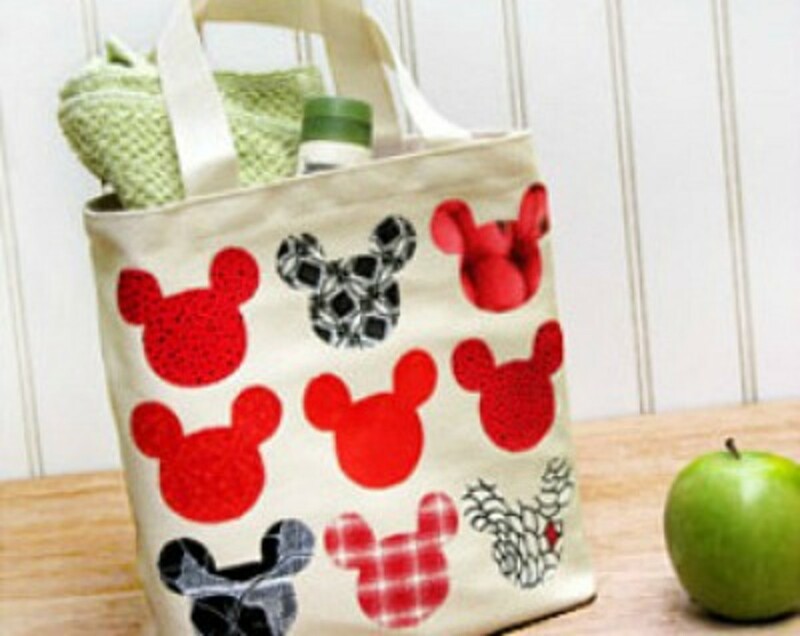 Use this cute Mickey tote for shopping or to go to school. Get the directions from the family Disney website. These little mice are pincushions. Make a few for your sewing room so you'll always have your pins handy. Go to NUNO LIFE for the directions. Wouldn't the little ones in your home enjoy playing with these little ears placed on their heads? The directions can be found at family.disney. This is a great classroom project because it isn't hard to find or ask for old cds for the project. 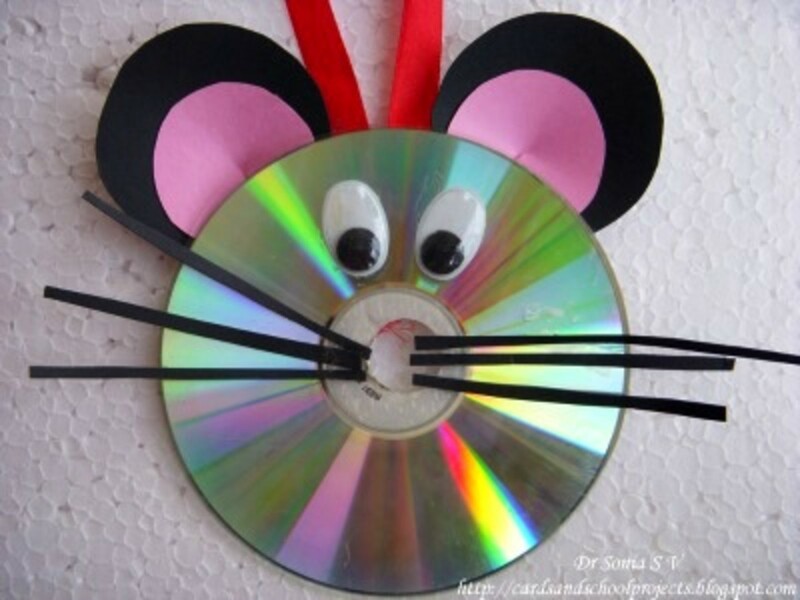 Go to Cards, Crafts, Kids Projects for the instructions for making this cd mouse. 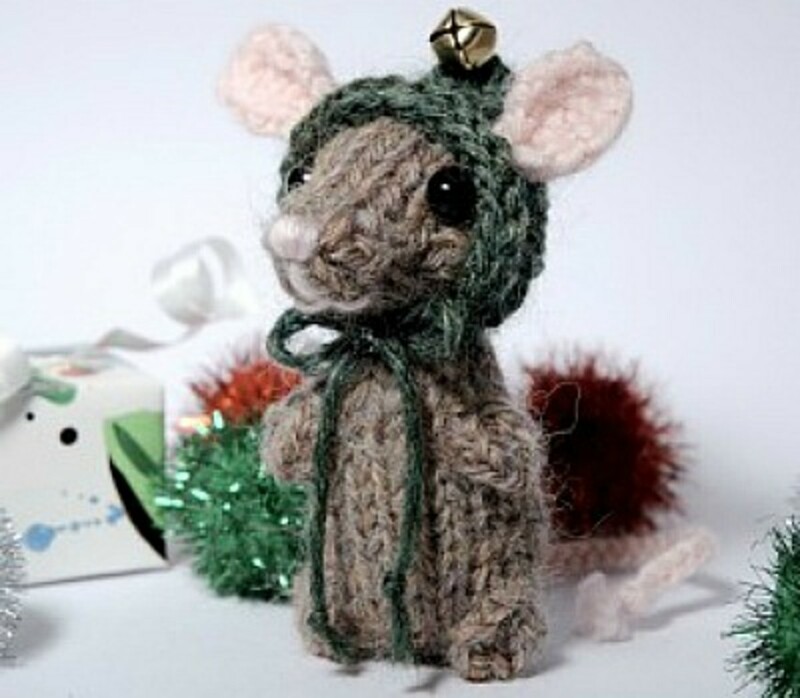 I'm sorry to say that I don't know how to knit because if I could I'd want to make this little holiday mouse. You'll find the directions for knitting this cutie at knitting cuteness. 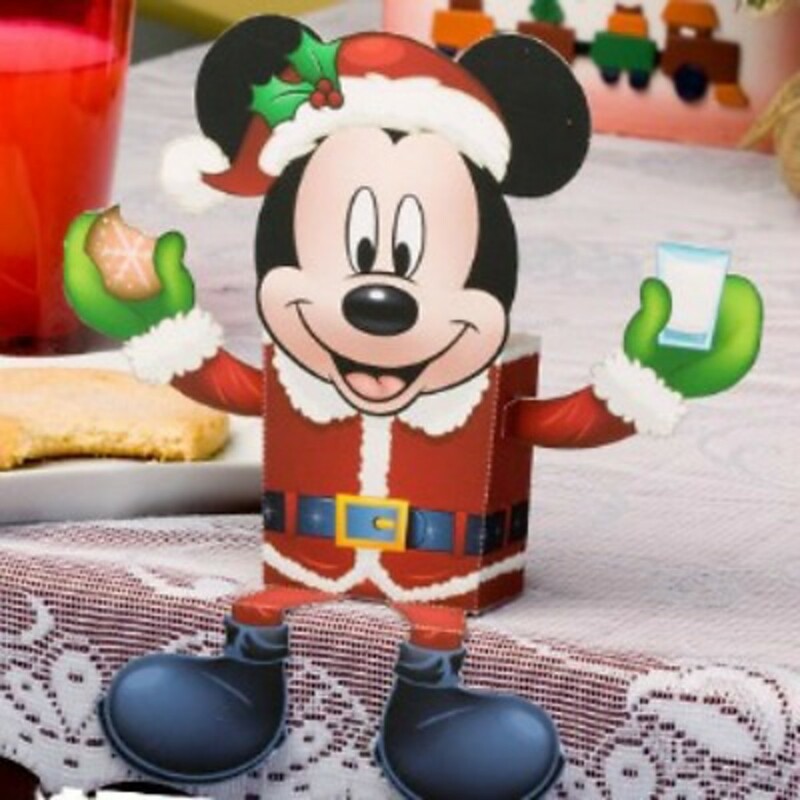 Making this Santa Mickey is extra easy using the printable option given at WDW Parkhoppers. 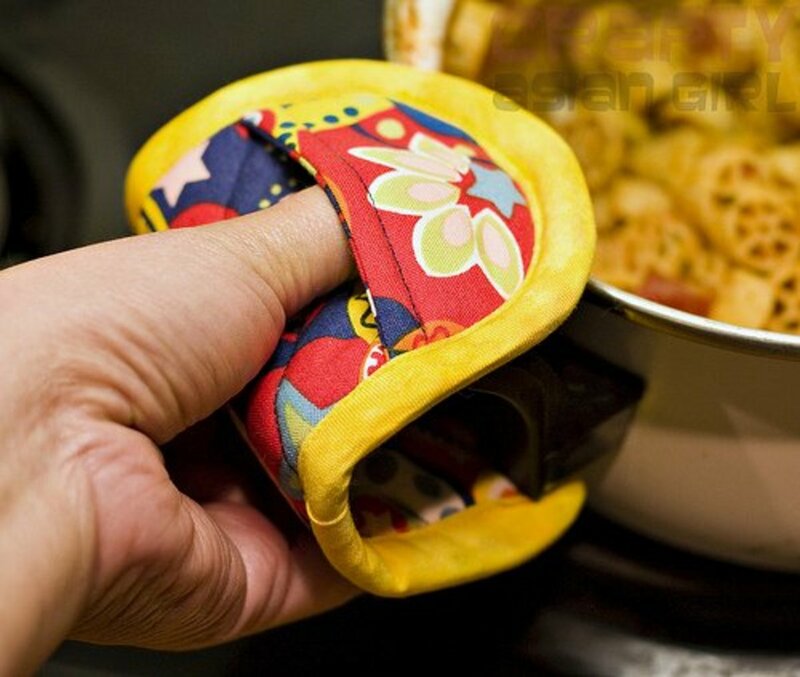 Very easy and perfect for holding candy. Use as a favor for your family Christmas table. 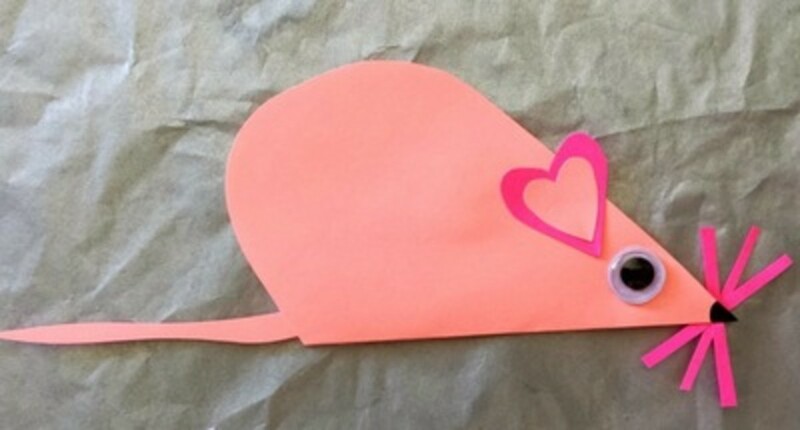 Easy Crafts for Kids features this cute little mouse made using a half walnut shell for the body. 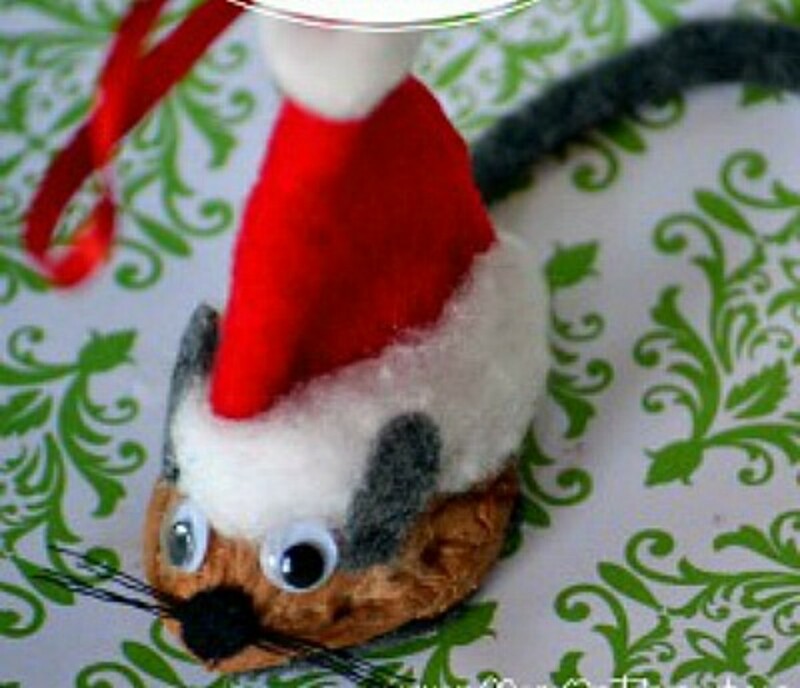 This is another way to use a walnut shell making a Christmas craft. This time, an ornament with the instructions for making it at Mom On TIMEOUT. 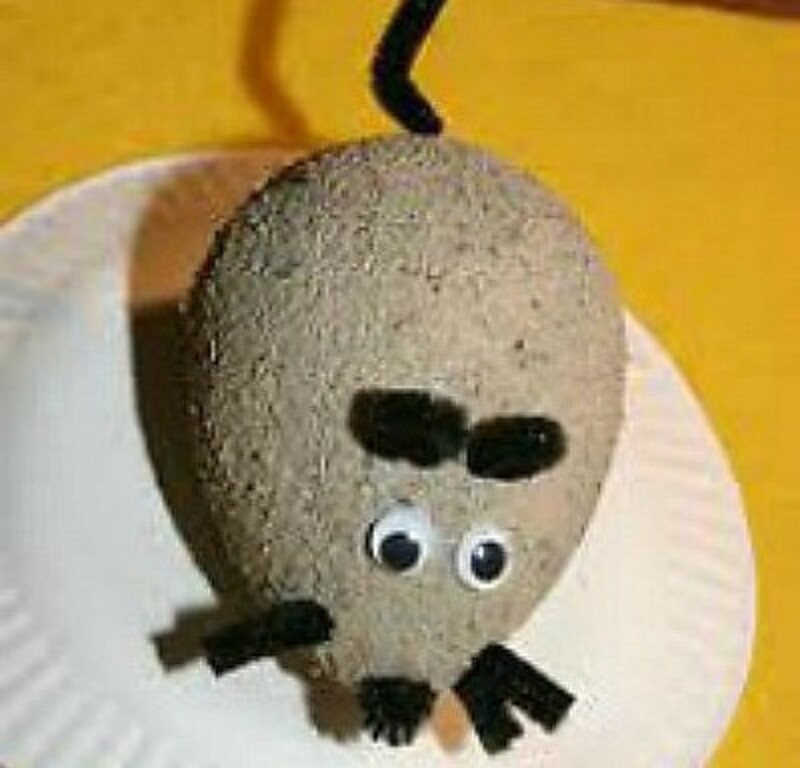 Think of all the sizes you can choose from to make this mouse using one half of a Styrofoam ball. 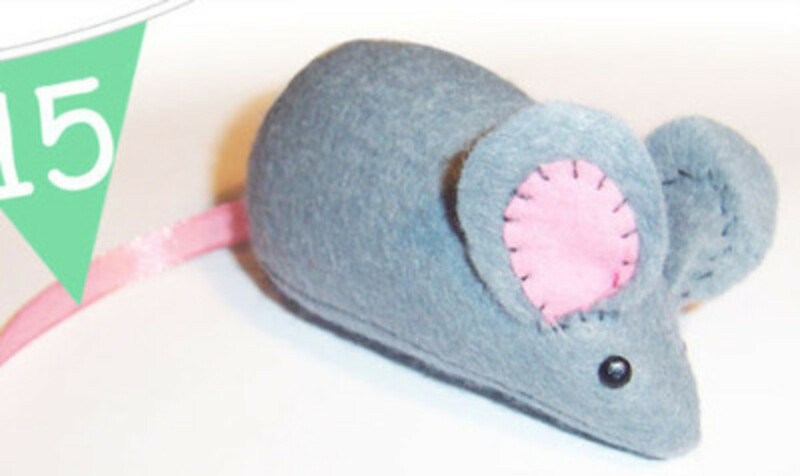 Find the directions at Parents for the basic mouse, and then make unique mice by changing the colors, sizes, and adding touches of your own. Make this knitted city mouse for yourself or to give as a gift. Find the instructions on the Martha Stewart site. Very good step-by-step instructions given. When you are looking for an easy and fun craft to make with the kids, check out this folded heart project. Go to crafty morning for the instructions. 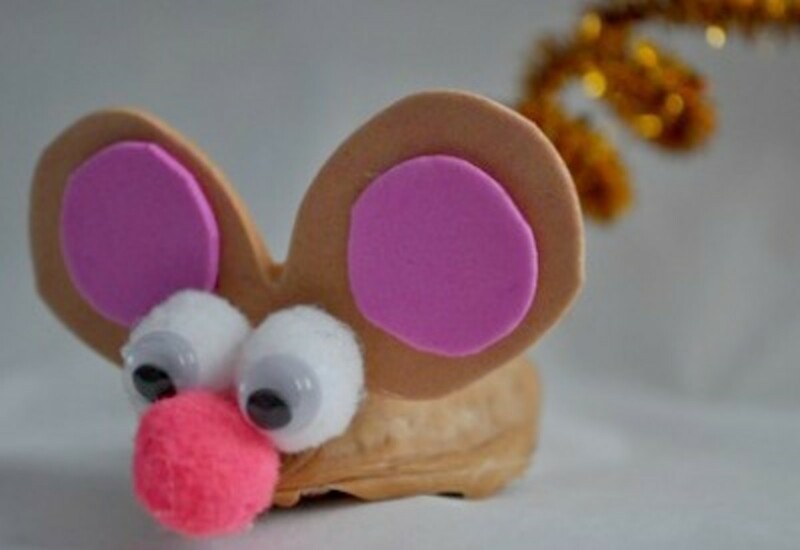 The kids will love making this super adorable mouse. Find the instructions at Housing a Forest. 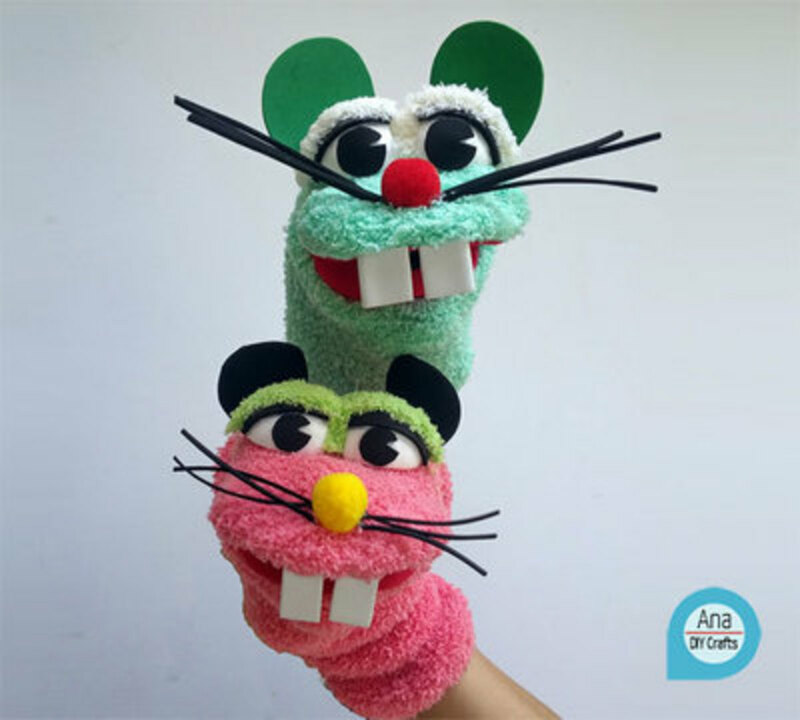 Ana DIY Crafts shares the tutorial for making these cute mouse sock puppets. Love them! 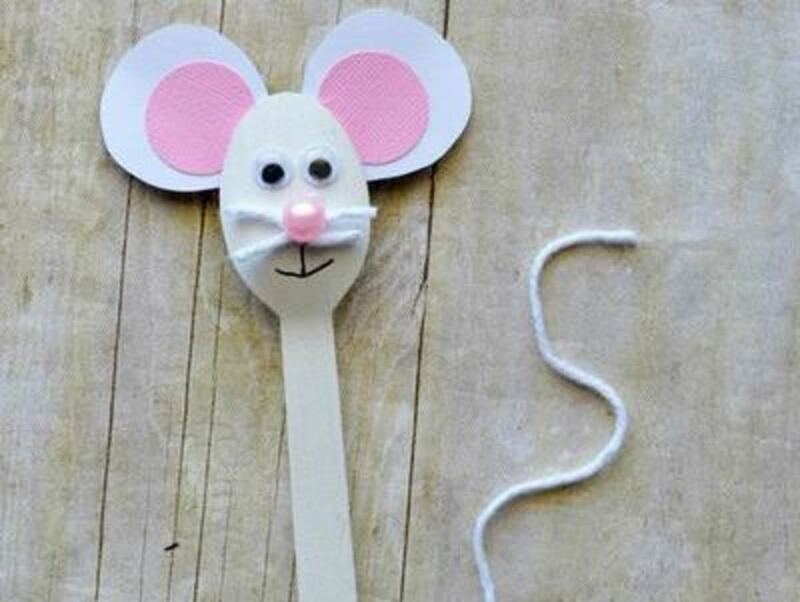 Get the wooden spoons out and lets make a mouse. Go to I Heart Crafty Things and follow the directions given there. 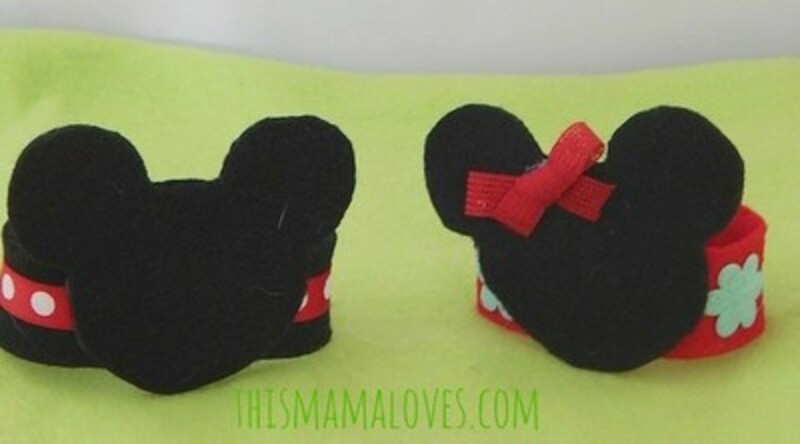 What little Mickey or Minnie Mouse lover wouldn't love one of these felt mouse bracelets. Find the tutorial at This Mama Loves. Super cute idea! 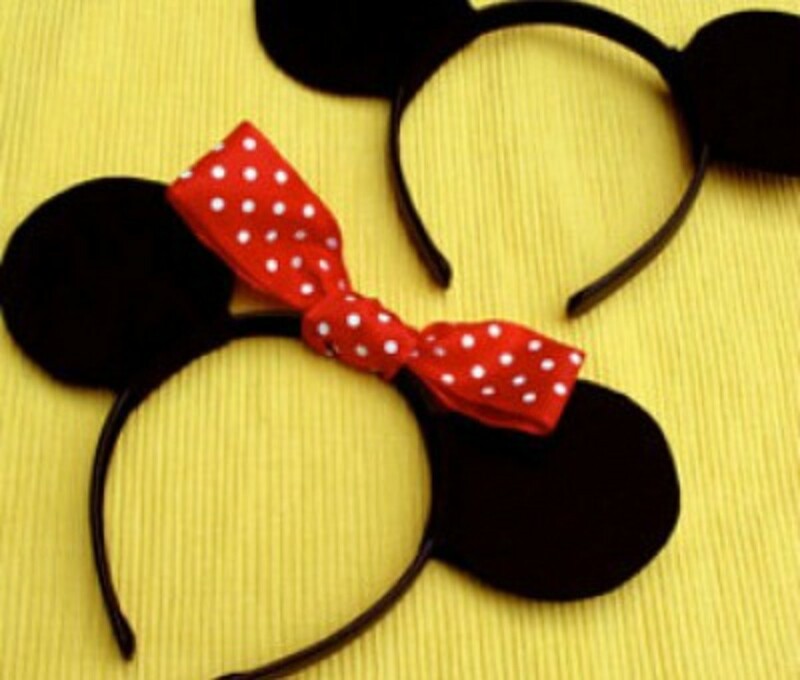 Is Mickey or Minnie your favorite mouse? - or just leave a comment. Mickey Mouse is great, I like him a lot! According to Walt Disney's biography, Walt was inspired to make Mickey from his own pet mice. Walt would work late at his desk, the office mice would come out (not knowing he was still there) and fall into his metal wastepaper basket. Walt would rescue them, and keep them as pets in a cage on his desk (must have been a big desk!) - their friendly personalities and irrepresiblity inspired him to create a cartoon mouse... Hence Mickey Mouse was born, and he was always one of Disney's favourite characters. Walt even had Mickey printed on his employee's paychecks! 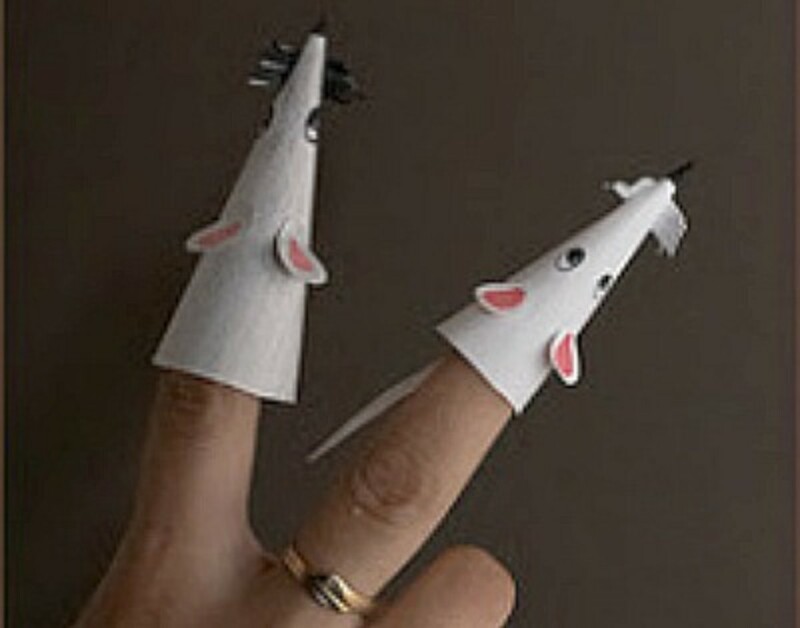 (Ps: I love your lens, these are great mouse crafts. I've featured your lens on mine: https://hubpages.com/games-hobbies/a-little-mouse-... . Thanks for sharing).